As you scurry around looking for the perfect gift for your loved ones this holiday season, take some time for self-care. It’s amazing how good it can make you feel when you make yourself a priority. They will look their best at holiday parties and in pictures. Fillers can improve their self-esteem as they start thinking ahead to the New Year. They want to do something that will make them smile every time they look in the mirror. If you’re considering dermal fillers for your face, the following are some of the most popular types and how they are used. Bellafill® is a collagen filler that offers immediate results. It adds volume to the skin to help hide wrinkles. It’s primarily used around the mouth where most people see smile lines (nasolabial folds). This filler can also be used off-label for lip augmentation, acne scars, and wrinkles on other parts of the face. Learn more about this injectable by clicking here. FDA-approved Juvéderm® XC is an injectable gel that lasts 12+ months. It very effectively fills in severe facial wrinkles and folds. Like Bellafill®, this product also adds volume to create a smoother appearance to the face. An experienced aesthetic injector, like James Christian Sardelli, RPA-C, assesses clients’ aging concerns and creates a custom treatment with Juvéderm® XC for natural looking results. Click here to message James for a consultation. Radiesse® is a non-permanent filler. It acts much differently than Bellafill® and Juvéderm® XC. This injectable stimulates collagen production, which increase. volume. It accomplishes this with a combination of gel matrix and calcium bead components. This product is an effective option for those who feel more comfortable simply boosting the amount of collagen in their face rather than adding filler to areas of concern. Those wishing for bigger, plumper lips often request Volbella®. This injectable rejuvenates the area around the mouth, improves the contours around the lips, and enhances lip volume. If you feel as though your mouth is getting thinner with age, this may be the treatment for you. ‘Tis the season of giving, and that should include giving to yourself. Contact James Christian Cosmetics during at 1-844-iBOTOX-Now from 9 AM to 5 PM Monday through Friday. After hours, call or text our 24/7 Cosmetic Concierge line at 917-860-3113. 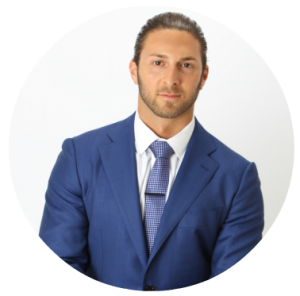 Aesthetic injector James Christian Sardelli, RPA-C, serves Suffolk and Nassau County areas of Long Island. Offices are conveniently located in Manhattan, Commack, Islip, West Sayville, Westhampton Beach, Rockville Centre, Farmingdale, and Babylon Village, NY. Bellafill is a registered trademark of Suneva Medical. *Juvéderm XC is a registered trademark of Allergan, Inc.
*Juvéderm VOLBELLA XC is a trademark of Allergan, Inc.
*RADIESSE is a registered trademark of Merz North America, Inc.